He and his business partners currently specialize in different types of products such as cakes, pastries and cookies. Each of them have a physical store which sells and promotes each others products. During the holiday season, they get bulk orders from customers who are having parties and company events. 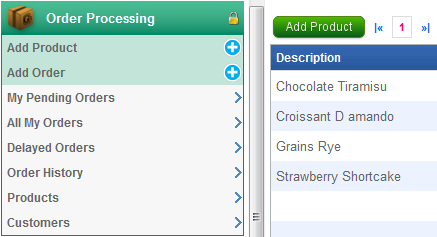 Because they have received several complains for mixing up orders and forgetting special requests from customers such as to replace white sugar with brown sugar, they have decided it’s time they explore a web based software to help them with order management. The main reason why they needed the system to be web based is so that when one shop get’s an order, the shop owner can immediately enter the order details for all to be aware of. 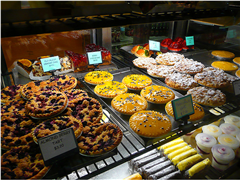 In other words, when the cake shop owner gets an order for pies, he would enter the order details into the order management system and the pie shop owner will be aware of the order and works on it accordingly. Based on their requirements, I searched around and finally found a web based business software with built in order management capability. 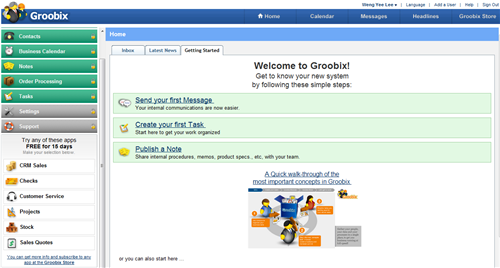 This simple yet powerful web based business software is called Groobix. I signed up for the Groobix Free Trial and gave it a go. Upon logging in and using Groobix, I realized that it provides a consistent look and feel which makes the web based system user friendly, easy to use and packed with functionalities. Because Groobix provides so many business application functionalities out of the box, in this post I will focus and highlight it’s order management capability. As you can see from the screenshot above, products must firstly be added before orders can be placed. Once orders are entered into the system, store owners can easily view at a glance all pending orders as well as a history of all past orders. I hope today’s post provides some insights as to how you too can utilized Groobix to simply help with your business order management. If you have similar requirements for a simple web based order management system, do give Groobix a try today.